This review is about item#10762473. 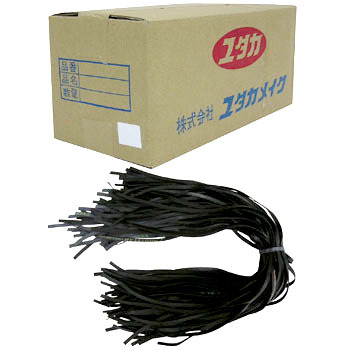 Although it is not an original use method, I use this rubber for a trap rope as a for centipede relay. It does not hurt, it does not cut easily, it is a very good use impression. This review is about item#10762482. I bought it for a seat of heavy truck. Although I checked the size at the time of purchase, it was thin and thin compared to what I thought so it is a little bit hard for large size. I think that it is optimum for ordinary cars and sheets up to 2 t cars. It is convenient because it cuts from the beginning. The strength is also much stronger than other rubber ropes because it is a tire tube.